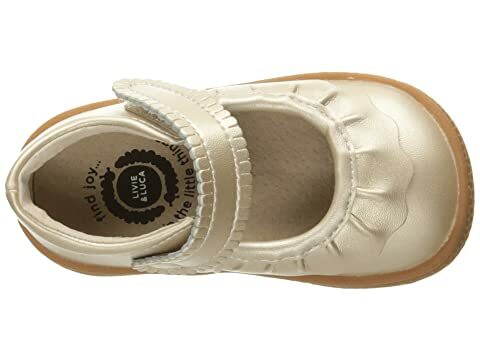 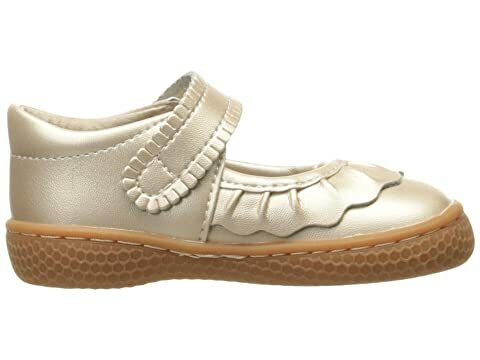 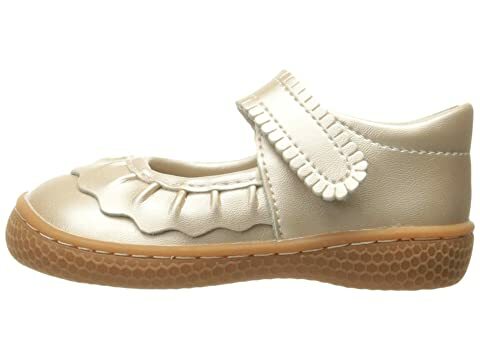 Add some ruffled radiance to her wardrobe with the sweet styling of these Livie & Luca® mary janes. 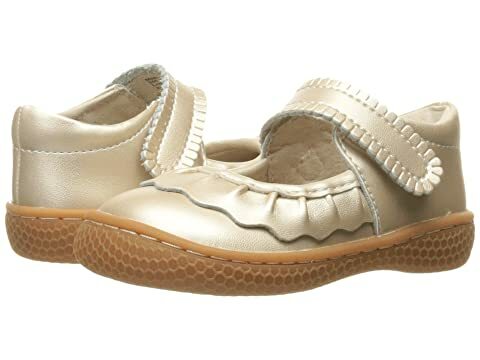 Supple leather upper with ruched detailing and scalloped edges. 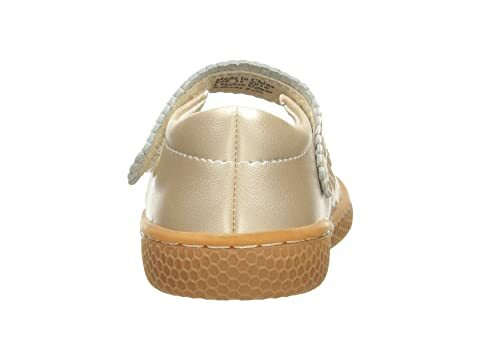 Padded collar provides comfort to the heel. 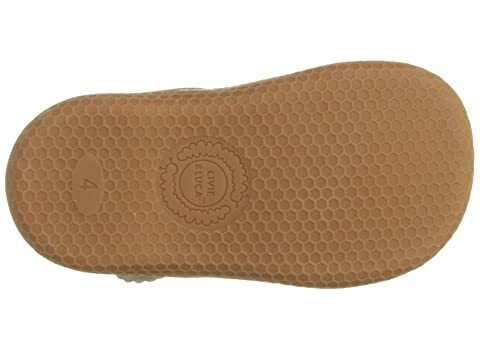 Smooth man-made lining and a cushioned insole.